Because it seldom happens, pain in the jaw can be alarming. 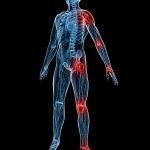 There are numerous possibilities for this kind of pain, from simple to fatal. It is best to leave conclusive jaw pain diagnosis to medical experts, but it also pays to know a simple, layman’s diagnosis for first aid jaw pain relief purposes. Lock jaw may be a symptom or an injury. For severe open-wound infections, it occurs during fever as a symptom of a deadly infection. For an accurate jaw pain diagnosis of this kind, it is best to consult a medical expert. Better yet, consult with a physician right away as soon as a wound is sustained. An expert would know if an anti-tetanus shot is called for. At other times, too much exertion on the jaw bones, as when opening the mouth too wide or too strenuously, may cause lock jaw. For jaw pain relief, relax the affected part for a day. If it persists, consult a physical therapist. Sleeping on one’s side with the jaw resting on one’s fingers or hand or something hard, may cause a sharp jaw pain later. 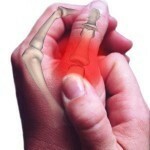 This is often a stubbing, severe, and tingling pain to the right or left side—or both. It is so alarming that it sometimes even causes some pain on the throat when swallowing. In some cases, it causes shooting pain as one bites at or chews food. 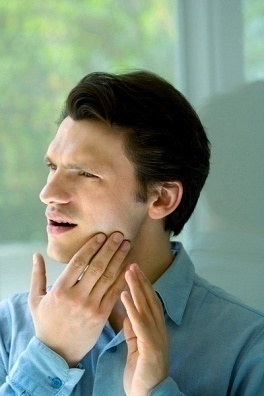 To get jaw pain relief for this, try not to use the affected area too much for several days. And do not sleep with the jaw pressed against anything hard. If pain continues, consult a doctor for better jaw pain diagnosis. Among reasons why expert jaw pain diagnosis is essential is because some are symptoms of cardio vascular diseases. Thus, never rely on first aid jaw pain relief measures alone. They are designed only as a temporary relief leading to expert consultation. Some pain in the jaw are indicative of angina, especially when such pain is episodic. For instance, after an exercise, aching of the jaw is observed with a sharp or dull chest pain, whether to the right or left, evaluation by a physician is needful. Clenching or grinding the teeth too tightly and too often (bruxism) may result to a stabbing sting in the jaw. This is caused by the undue stress inflicted on the mouth muscles, joints, and tissues. If unabated, the worse jaw pain diagnosis may result to serious jaw joint ailments that trigger severe soreness or stabbing or shooting pain. An example is Temperomandibular Joint problems or TMJ. A practical jaw pain relief for this is stop bruxism.